The Stanley's seventh single for Columbia was recorded as part of the second Columbia session. We'll Be Sweethearts In Heaven is a duet with Carter and Ralph, which Keith Whitley & Ricky Skaggs would emulate during their spell with as CMB's in the early '70s. The cautionary Drunkard's Hell, although credited to Carter, is an old song of unknown origin. 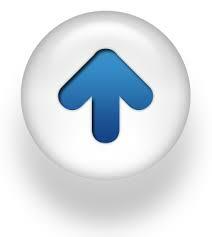 Versions of it had been recorded previously by Vernon Dalhart, Maynard Britton and Wade Mainer between 1925 and 1939. Gary Reid however in his essential Music Of The Stanley Brothers book has evidenced that the Stanley's learnt the song from their father and that it was a tune known locally around Dickenson County. 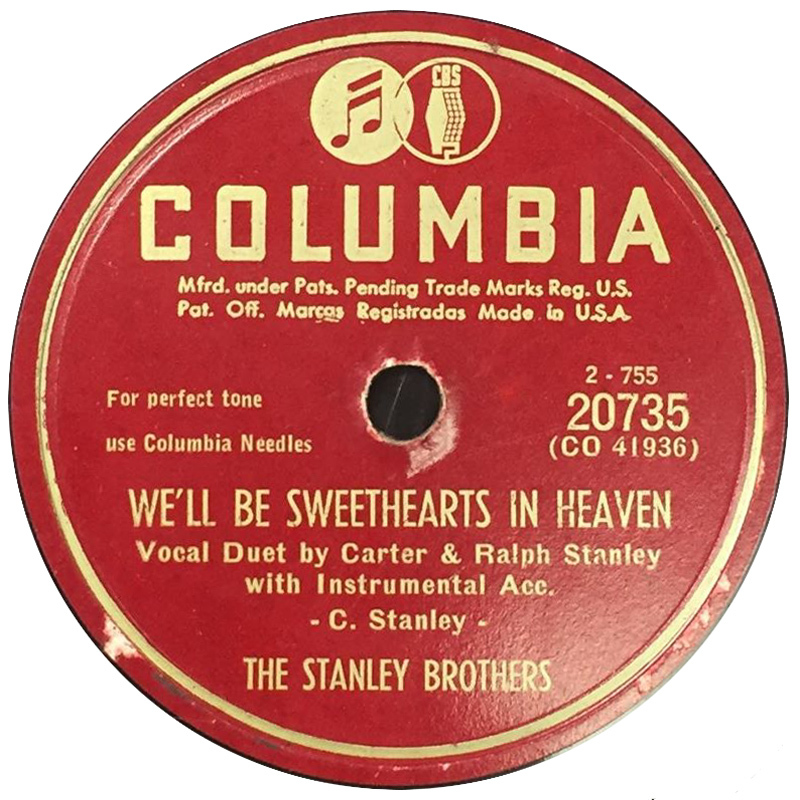 For this song the Stanley's used their ground-breaking high-baritone 3-part harmony. 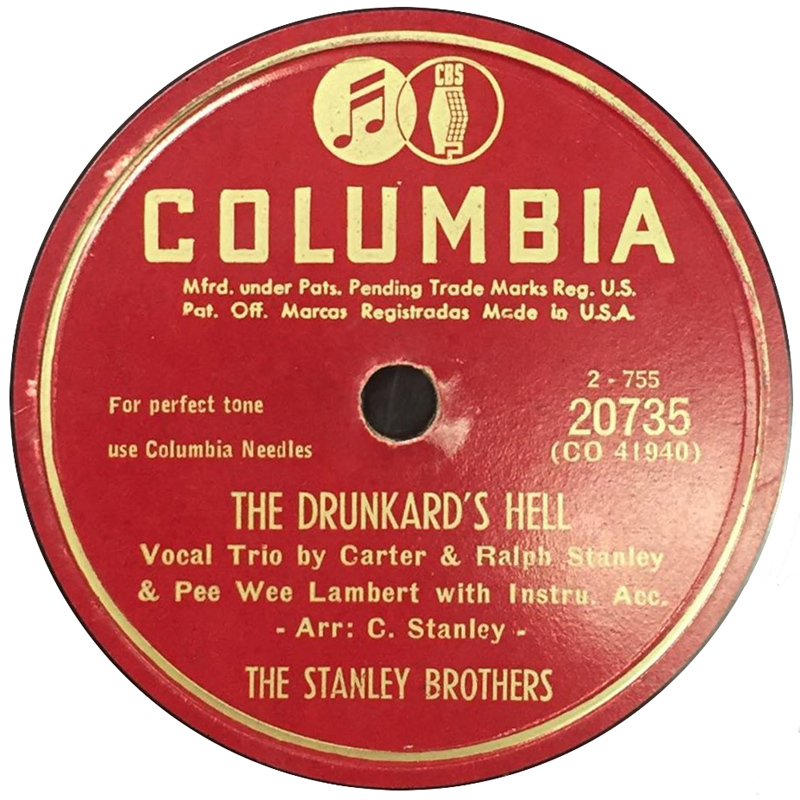 As far as I can tell neither the Stanley's nor Ralph or any of the CMB's re-recorded Drunkard's Hell. We'll Be Sweethearts In Heaven however was resurrected by Ralph on his The Bluegrass Sound Of... LP and the Keith Whitley & Ricky Skaggs - Tribute To The Stanley Brothers album. 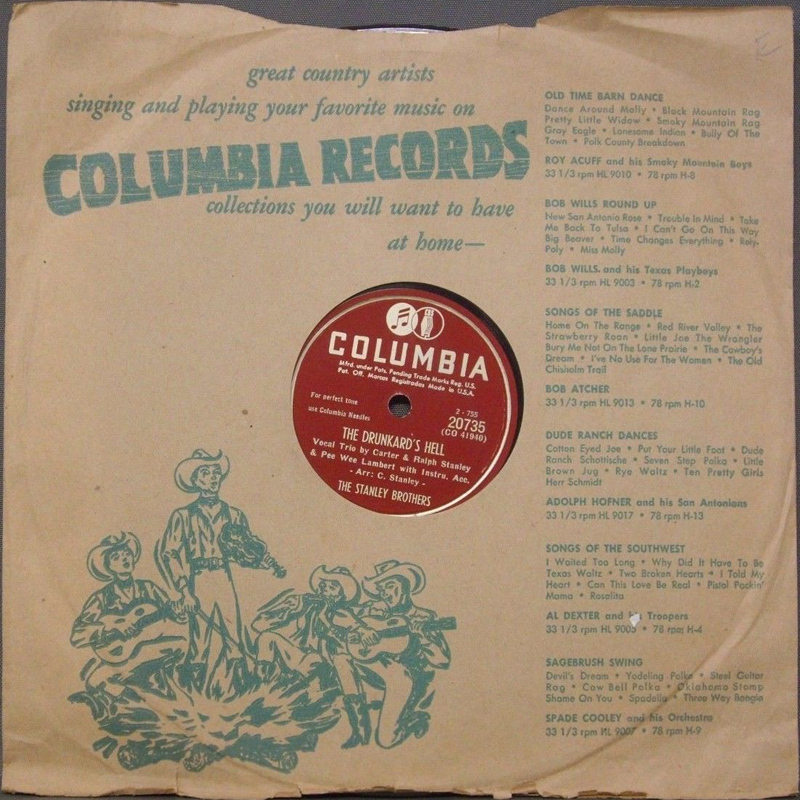 A version with Ricky Skaggs and Ralph also appeared on the 2014 Cracker Barrel release Man Of Constant Sorrow. 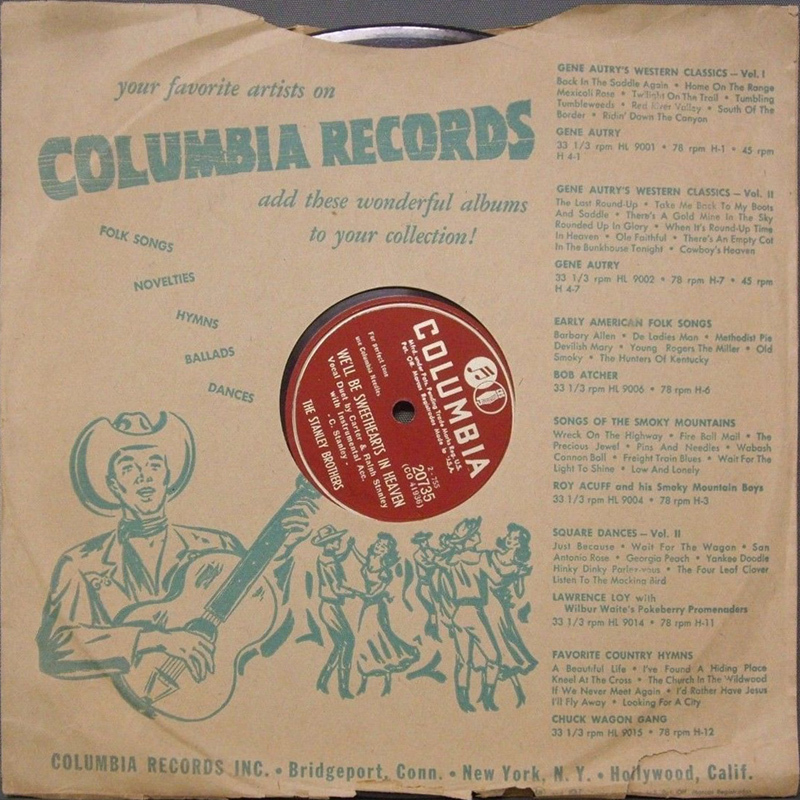 Both sides of the disc can be found on The Complete Columbia Stanley Brothers CD. Thanks to Alex Chldress for the photo's of the 78 labels. For a detailed breakdown and background to the Stanley's session, check Gary B. Reid's The Music Of The Stanley Brothers book, pages 26-28 and 37.